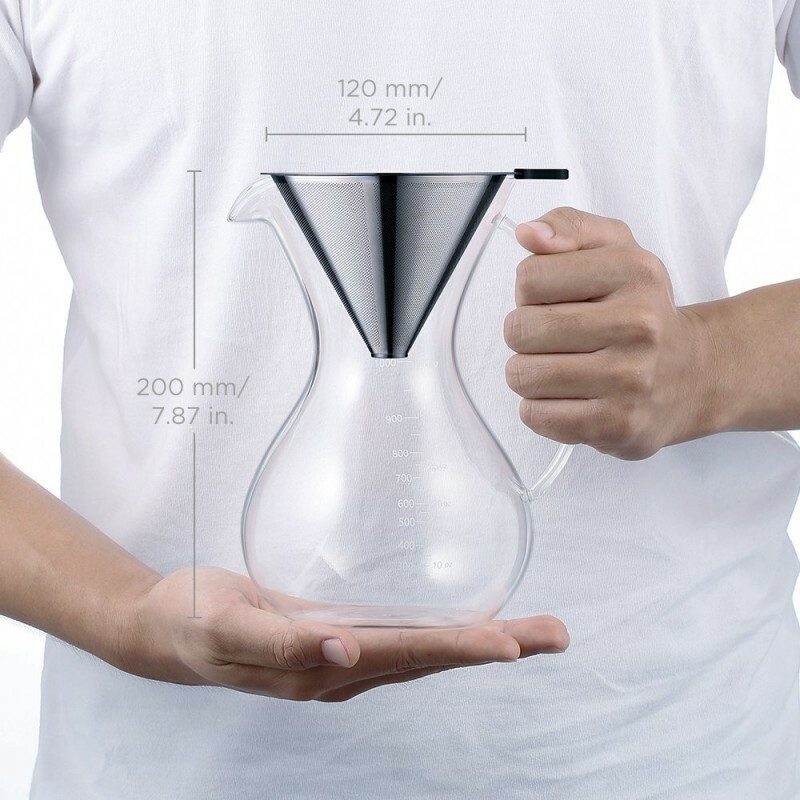 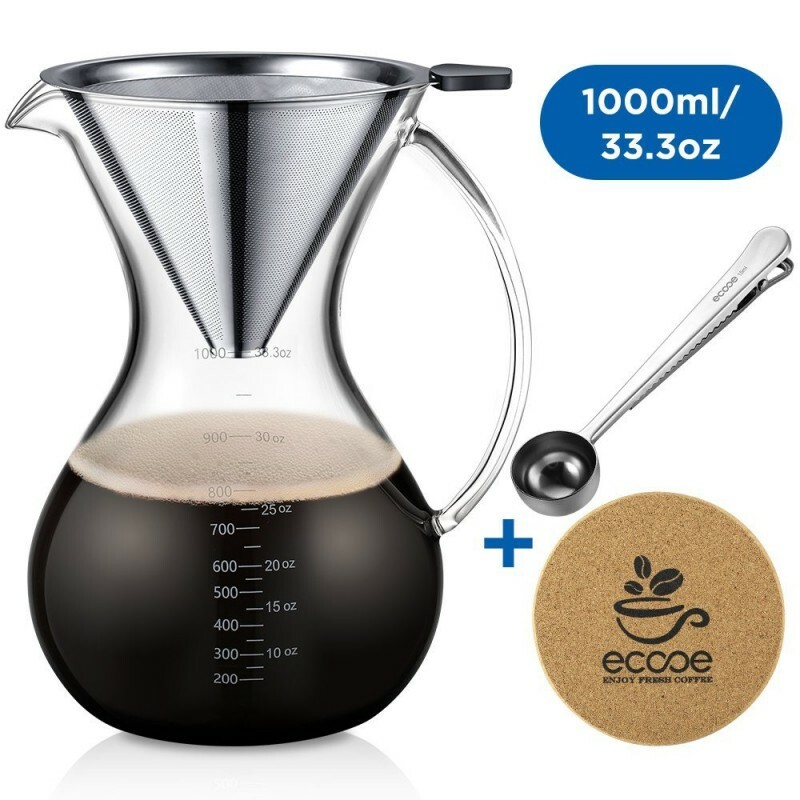 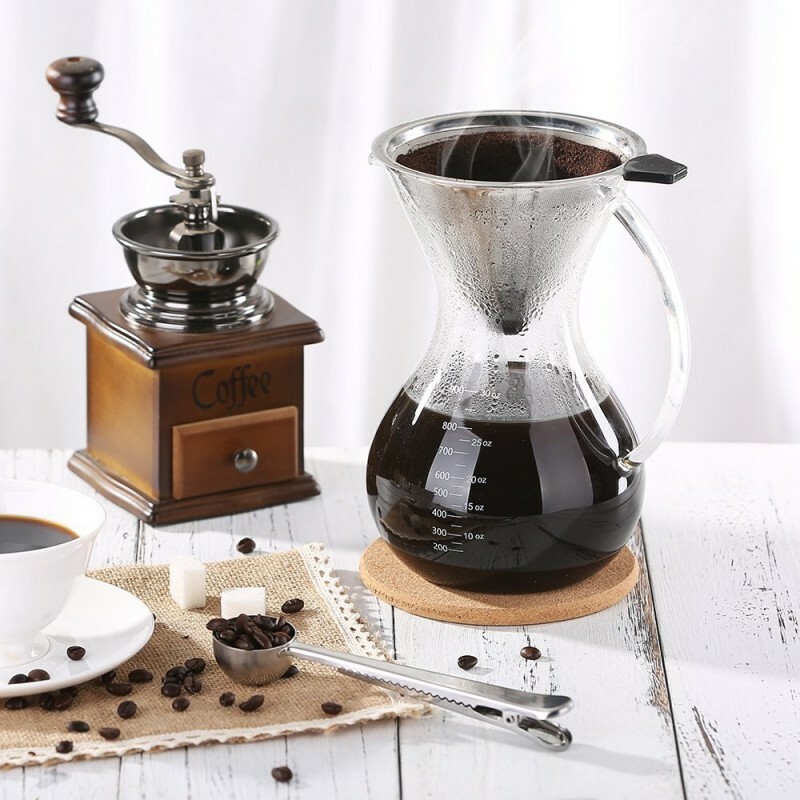 This carafe is a near-perfect balance of aesthetics and performance ― the heatproof borosilicate glass makes it a pretty kitchen decor, while the ultra-fine filter brews tasty coffee. 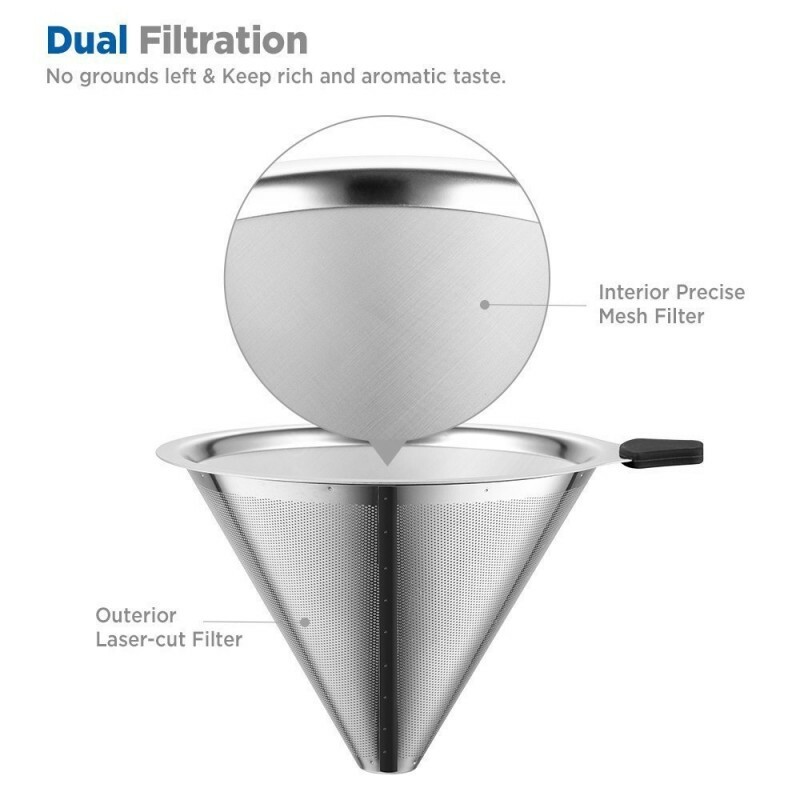 The filter features with fine mesh interior and mesh exterior. 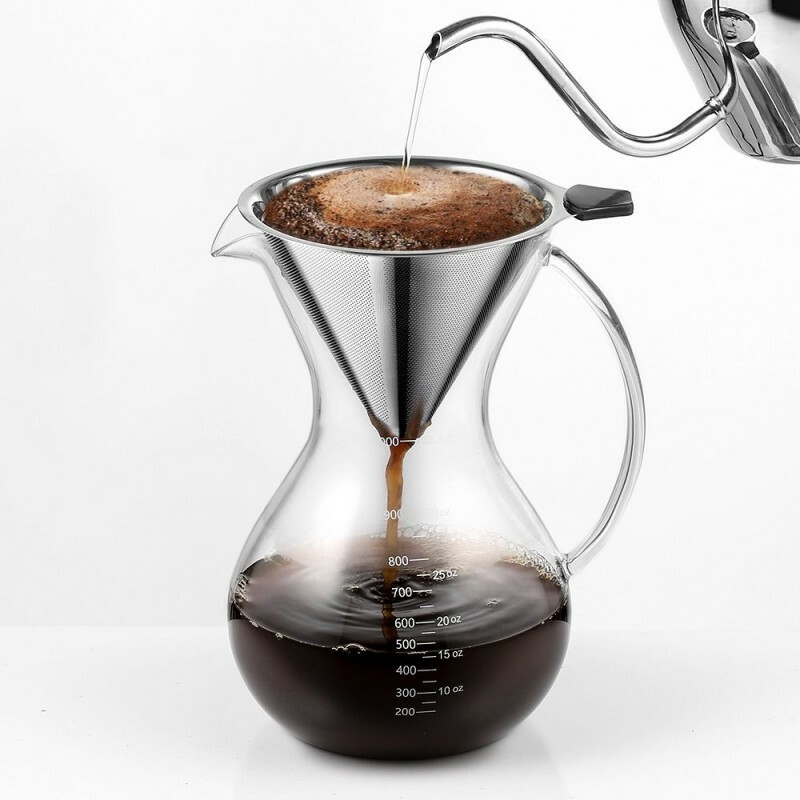 It will not rust or trap natural coffee oils, but makes the best use of the ground coffee the other way around. 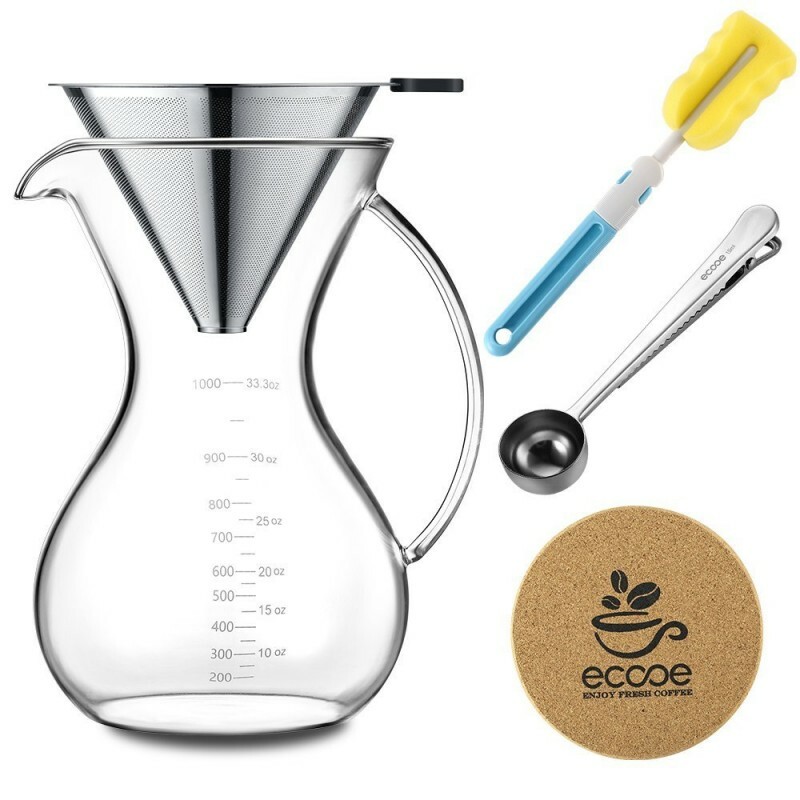 Make a pour-over coffee easier, with the ensuing gift set includes an extra cleaning brush, a measuring spoon and a cork mat for protection.